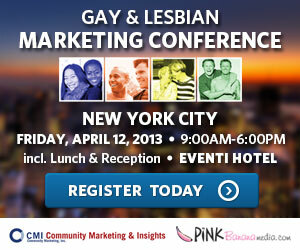 Community Marketing and Pink Banana Media’s 6th Annual Gay & Lesbian Marketing Conference will be held on April 12, 2013 at the Kimpton Eventi Hotel, New York City. Community Marketing, Inc. and Pink Banana Media have announced a full-day educational and networking conference for business leaders interested in growing their LGBT market share. The 6th Annual Gay & Lesbian Marketing Conference follows successful national and regional programs held by the organizers throughout the country over the past several years. Participants from the New York City region, as well as across North America are invited to attend the conference. A One-Day Gay MBA: Whether you are a long-time LGBT market expert or new to the segment, you will attain valuable insights and approaches into the LGBT marketplace. 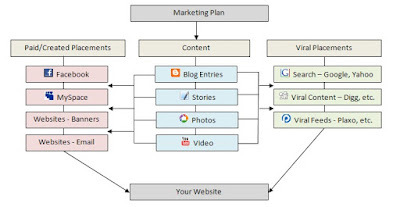 Dedicated to marketing, advertising and PR executives and agencies serving all industries, who want to successfully reach gay and lesbian consumers, and initiate or update effective strategies. Just updated for March 14, 2013 - Barefoot Wines will be sponsoring our post-conference networking reception, along with the NGLCC-NY.